It is with great pleasure that I announce the "2nd Molecules Medicinal Chemistry Symposium (MMCS): Facing Novel Challenges in Drug Discovery" to be held in Barcelona, Spain, 15–17 May 2019. The conference is organized by MDPI, the publisher of the open-access journal Molecules and follows the very successful one-day meeting,"Molecules Medicinal Chemistry Symposium (MMCS): Emerging Drug Discovery Approaches against Infectious Diseases", held in September 2017 at the School of Pharmacy and Food Sciences of the University of Barcelona, Spain, which turned out to be a very fruitful forum for discussion on the specific topic of anti-infective drug discovery, in an excellent atmosphere created by the more than 70 attendees from 20 countries. Encouraged by the great success of the initial small-format monographic MMCS2017, the three-day MMCS2019 will grow naturally by addressing a larger audience and essentially all topics of medicinal chemistry. The MMCS2019 will be organized into a number of thematic sessions on medicinal chemistry of particularly challenging diseases, novel and revisited drug discovery approaches, and medicinal chemistry stories about recently implemented projects in any area not covered in the other sessions, from target and hit identification to hit-to-lead optimization, tuning of physicochemical and pharmacokinetic properties, preclinical and clinical development, etc. Two prominent and inspiring keynote speakers per session will share the program with a number of selected oral communications, especially by young researchers. The program will be complemented by poster presentations, and social events on the second day of the conference. I look forward to seeing you in Barcelona. Download the conference poster here. For information regarding sponsorship and exhibition opportunities, please contact us. Prof. Diego Muñoz-Torrero is Associate Professor of Organic and Medicinal Chemistry at the Faculty of Pharmacy and Food Sciences, University of Barcelona (UB). He is Head of the Laboratory of Pharmaceutical Chemistry and belongs to the Governing Board of the Institute of Biomedicine (IBUB). He belongs to the editorial advisory board of several medicinal chemistry journals and serves as the Editor-in-Chief of the Medicinal Chemistry Section of the MDPI journal Molecules. F. Javier Luque is a Professor from the University of Barcelona (UB) and member of the Institute of Biomedicine (IBUB) and Institute of Theoretical and Computational Chemistry (IQTC). He has a broad expertise in the analysis of structure and function of biological macromolecules and the study of biomolecular interactions using various computational and bioinformatical methods. He is a member of the Computational Biology and Drug Design research group. Institute of Pharmacy and Food Chemistry, University of Würzburg, Germany. Prof. Barril’s research focuses on the discovery of bioactive molecules exploiting unusual mechanisms of action through a combined use of computational and experimental techniques. He is a well-known expert in the field of structure-based drug discovery, with more than 70 scientific publications. He has a strong focus on applied research: 8 patents, scientist at Vernalis (2002-2005), co-founder of Minoryx Therapeutics (2011-2017), CSO at Gain Therapeutics (2018-). Alessio Ciulli holds the Personal Chair of Chemical and Structural Biology at the University of Dundee. His research interests are on the development of small molecules targeting protein-protein interactions (PPIs) and inducing protein degradation. His group has made significant contributions to selective chemical intervention on important PPI targets. Initially in collaboration with the Crews Lab, they pioneered the structure-guided design of drug-like ligands for the von Hippel-Lindau E3 ligase. More recently, Alessio’s Lab has illuminated important structural and mechanistic insights into the molecular recognition and mode of action of PROTAC degrader molecules. Alessio obtained his PhD in Chemical Biology (University of Cambridge, 2006) studying weak protein-ligand interactions. Following post-doctoral research on fragment-based drug design, and an HFSP visiting Fellowship at Yale University, he returned to Cambridge in 2010. In 2013 Alessio moved his laboratory to Dundee and was promoted to Professor in October 2016. Pr. R. Deprez-Poulain, PhD, PharmD, is Full Professor of Medicinal Chemistry and Drug Discovery at the School of Pharmacy in Lille. She did her PhD under the supervision of Pr Tartar (1996-1999) on combinatorial chemistry. Her expertise is in inhibition of metalloproteases, hydroxamates and kinetic-target guided synthesis (KTGS). She disclosed the first inhibitors of PfAM1, the first inhibitors of IDE tested in vivo and discovered by KTGS and several plasma-stability studies of hydroxamates. She has been awarded the joined French Society of Medicinal Chemistry (SCT) & Servier Prize (2009. She has published 52 papers in peer-reviewed international journals (J. Med. Chem, Nat. Comm., The Lancet…). She was a member of the IOC of the 2016 EFMC-ISMC, and is part of the SAB of the SCT. She has been nominated member of the Institut Universitaire de France in 2015. Her team is part of the drug discovery lab affiliated to the University of Lille, the Institut Pasteur de Lille and INSERM. Christa Müller studied pharmacy at the University of Tübingen, Germany, and received her Ph.D. in Pharmaceutical/Medicinal Chemistry from the same university. After a postdoctoral stay with John W. Daly (1989-1990 and 1992) at the Laboratory of Bioorganic Chemistry, National Institutes of Health, USA, in 1994 she completed her habilitation thesis at the University of Tübingen, and became Associate Professor of Pharmaceutical Chemistry at Würzburg University. Since 1998 she is full professor of Pharmaceutical Chemistry at Bonn University. She is a co-founder of the Pharma-Center Bonn, and has ca. 400 publications in the field of medicinal chemistry and pharmacology. Her scientific interests are focused on the medicinal chemistry and molecular pharmacology of purine-binding membrane proteins (purine receptors, ectonucleotidases) and lipid-activated orphan G protein-coupled receptors. Disease indications include neurodegenerative and inflammatory diseases and cancer. Stephen Neidle’s interests are primarily in the chemistry and biology of novel nucleic acid structure and recognition by small molecules, and in exploiting this information for the rational design of novel therapeutic agents. He has published over 500 papers and reviews, and 14 patents, and has written and edited a number of books on nucleic acids, drug-DNA interactions and cancer drug discovery. His current h index is 86 (Web of Science) and 98 (Google Scholar). Barry Potter studied Chemistry at Oxford, completing a DPhil on phosphoryl transfer stereochemistry, receiving a DSc in 1993. After postdocs in Oxford and Göttingen at a Max-Planck-Institute, he was lecturer in Biological Chemistry at Leicester, won a Lister Institute Fellowship and moved to the chair of Medicinal Chemistry at Bath. His research is in enzymology, signal transduction chemistry and anticancer drug discovery. He has brought his drugs to multiple human clinical trials with clinical benefit, published over 500 papers, is inventor of 45 granted US patents, and serves on many editorial boards. In 2015 he moved to Oxford as Professor of Medicinal & Biological Chemistry. He has won four RSC medals, the GlaxoSmithKline International Achievement Award and the 2018 Tu Youyou Award. He was 2012 European Life Science Awards Investigator of the Year, held the 2016 RSC-BMCS Medicinal Chemistry Lectureship and was elected to the Academy of Medical Sciences and Academia Europaea. Dr. Jörg Rademann holds the chair of Medicinal Chemistry at Freie Universität Berlin at the Institute of Pharmacy. His research is focused on the development of chemical and biochemical methods of fragment-based drug discovery. These works have furnished potent chemical tools for the validation of drug targets in the signaling of cancer cells, including specific inhibitors of the protein tyrosine phosphatase SHP2, the transcription factor STAT5, fragment-based inhibitors of viral proteases and compounds for targeting carbohydrate-protein interactions. Institute of Translational Medicine, Zhejiang University, China. Professor Sun obtained his Ph.D. from the University of Iowa and did his postdoc at the National Cancer Institute. Following 8 years of tenure in Parke-Davis/Pfizer as Research Fellow, he joined the faculty of University of Michigan in 2003 and was promoted to tenured full professor and Director of the Division of Radiation and Cancer Biology in 2008. He also became a Professor and Dean at the Institute of Translational Medicine, Zhejiang University, China in 2014. His main research focus is to validate SAG/RBX2 Cullin Ring E3 Ligase as valid cancer target, and to discover its small molecule inhibitors for cancer treatment. He authored 206 peer reviewed articles, published in several prestigious journals, including Dev Cell, eLife, J Cell Biol, J Clin Invest, Mol Cell, Nature Communications, PNAS, and Can Res. He serves as editorial board member of eight scientific journals. In 2012, he was elected Fellow of the American Association for the Advancement of Science (AAAS). "Polycyclic Hydrocarbons: from a Curiosity for Organic Chemists to a Useful Scaffold for Medicinal Chemists"
Dr Vázquez is a Professor in Organic and Medicinal Chemistry in the Universitat de Barcelona (UB) since 2005 and a founder member of the Institute of Biomedicine of the UB (IBUB). He was a Marie Curie Fellow at the University College London (1998-2000) and a Ramón y Cajal Fellow (2001-2005). His research is focused on the synthesis of channel blockers -human NMDA and P2X7, M2 channel of influenza virus- and enzyme inhibitors -11b-HSD1 inhibitors and soluble epoxide hydrolase inhibitors. Prof von Itzstein is the Director of Griffith University’s Institute for Glycomics and has research interests in chemical glycobiology, rational drug design, medicinal chemistry, enzymes in organic synthesis, enzyme mechanisms, new synthetic methods and biochemistry of carbohydrate-recognising proteins. His research is targets viruses, drug-resistant bacteria and several cancers. Prof von Itzstein and his group designed, synthesised and evaluated the first designer anti-influenza drug, Relenza. The registration fee includes attendance to all conference sessions, morning/afternoon coffee breaks and lunches, conference bag and program book. Participation to the conference is considered final only once the registration fees have been paid. The number of participants is limited: once the number of paid registrations reaches the maximum number of participants, unpaid registrations will be cancelled. Please note that, in order to finalize the scientific program in due time, at least one registration by anyone of the authors, denoted as Covering Author, is required to cover the presentation and publication of any accepted abstract. Covering Author registration deadline is 27 March 2019. Your abstract will be withdrawn if you do not complete the registration by this date. Authors with multiple contributions: Please note that one author registration will cover only ONE accepted abstract. Authors presenting more than 1 contribution are required to pay a surcharge of €50 per additional abstract, unless one co-author is also registered to the conference (e.g., 1 author with 2 abstracts: registration fee + €50; 2 authors with 2 abstracts: 2 registrations fees; 2 authors with 3 abstracts: 2 registration fees + €50; etc.). Group Registration: groups of 5 or more attendees are offered a 10% discount on the registration fees. To enjoy this discount you need to complete one multiple registration, by selecting the number of people attending in each category (type of registration) during the first step of the registration process. Please note that no other discounts will be applicable. SEQT members (Sociedad Española de Química Terapéutica) and SCS members (Swiss Chemical Society) are granted a 10% registration fee discount, respectively. Please note that no other discounts will be applicable. 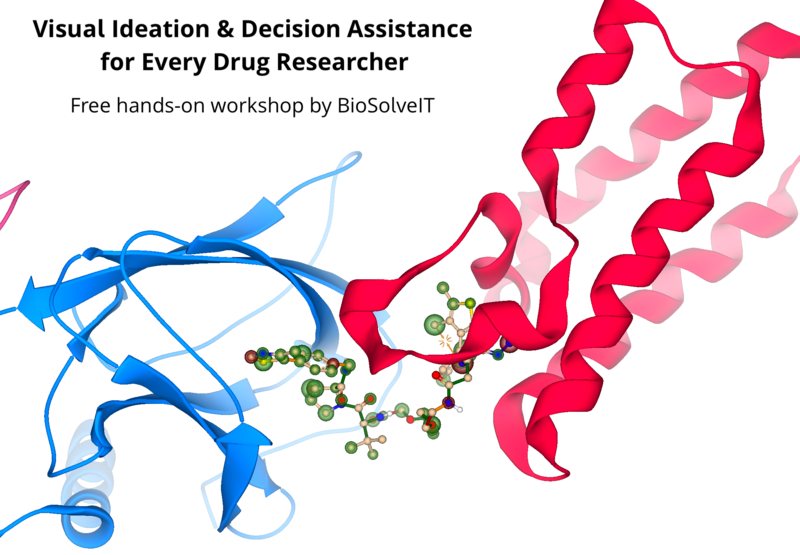 Free workshop: register now for free and do not miss the chance to learn about the basics of drug structure-based modeling, scoring, and conformational analysis in this hands-on workshop by our sponsor BioSolveIT. Social Events: a group visit to Sant Pau Hospital-Art Nouveau Site and a Conference Dinner are planned on Thursday, 16th May. You can find more detailed information here. Please note that the conference fee does not include any of these social events. Therefore, if you plan to attend or or both events, please make sure you select these extras when registering to the conference: Group Visit: €18 / Conference Dinner: €50 (prices per person). Certificate of Attendance: Upon request, the participants of the event will receive an electronic Certificate of Attendance by email once the event is concluded. Student 300.00 EUR 300.00 EUR 400.00 EUR Scanned copy or photograph of your current student ID card. We will endeavour to present the program advertised. However, in the unlikely event that MDPI shall deem it necessary to cancel the conference, all pre-paid registration fees will be reimbursed. MDPI shall not be liable for reimbursing the cost of travel or accommodation arrangements made by individual delegates. Tours run by third parties may be subject to cancellation or alteration. Note that Sciforum is the only official registration platform to register to MMCS2019, and that we are not associated with any hotel agency. While other hotel resellers and travel agencies may contact you with offers for your trip, they are not endorsed by or affiliated with MMCS2019 or Sciforum. Beware that entering into financial agreements with non-endorsed companies can have costly consequences. The organizers do not accept liability for personal accident, loss, or damage to private property incurred as a result of participation in the 2nd Molecules Medicinal Chemistry Symposium. Delegates are advised to arrange appropriate insurance to cover travel, cancellation costs, medical, and theft or damage of belongings. By taking part in this event you grant the organisers full rights to use the images resulting from the photography/video filming, and any reproductions/adaptations of the images for fundraising, publicity or other purposes. This might include (but not limited to), the right to use them in their printed and online publicity, social media, press releases, etc. The "2nd Molecules Medicinal Chemistry Symposium – Facing Novel Challenges in Drug Discovery" will accept abstracts only. The accepted abstracts will be available online on Sciforum.net during and after the conference. Moreover, participants will have the opportunity to contribute with a full manuscript to the special issue "Facing Novel Challenges in Drug Discovery" in the journal Molecules. Create an account on Sciforum if you do not have one, then click on ‘New Submission’ on the upper-right corner of the window, or by clicking on ‘Submit Abstract’ at the top of this webpage. Indicate what thematic area is best suited for your research. Submit an abstract in English - the word limits are: minimum 150 words and maximum 300 words. The deadline to submit your abstract is 31 January 2019. You will be notified by 1 March 2019 about the acceptance for poster presentation. Upon submission, you can select if you wish to also be considered for oral presentation. Following assessment by the Chairs, you will be notified by 1 March 2019 in a separate email whether your contribution has been accepted for oral presentation. Please note that, in order to finalize the scientific program in due time, at least one registration by any of the authors, denoted as Covering Author, is required to cover the presentation and publication of any accepted abstract. Covering Author registration deadline is 27 March 2019. Your abstract will be withdrawn if your registration is not complete by this date. Authors with multiple contributions: please note that one author registration will cover only ONE accepted contribution. Authors presenting more than 1 contribution during the event will be charged 50 euro per additional abstract (e.g., 1 author with 2 abstracts: registration fee + 50 euro; 2 authors with 3 abstracts: 2 registration fees + 50 euro; etc.). All presentations must be uploaded in advance. Please bring your presentation to the registration desk at least 30 min before the start of your session, or at the end of the previous day for the early morning sessions. A technician will be available to assist you. For talks scheduled during the morning of the first day (15 May 2019), we ask you to please send the presentation by email before the end of Monday 13 May, to avoid any delays. Ten posters will be selected prior to the conference by the Scientific Committee, and the authors will have the opportunity to present their poster in a 3-min Flash Presentation during a special session that will take place on the first day of the conference. The Best Poster Award will be selected and granted to one of these ten posters. Maximum poster size limited to A0: 84 x 120 cm (width x height); vertical orientation (portrait). Please print your poster prior to the conference. A plan of the poster session will be circulated later on. All accepted abstracts will be available online in Open Access form on Sciforum.net. Participants of this conference are cordially invited to contribute with a full manuscript to our Special Issue "Facing Novel Challenges in Drug Discovery" in the journal Molecules. The submission deadline for this special issue is 30 October 2019. Conference participants will be granted a 20% discount on the publication fees. Molecules is indexed by the indexed by the Science Citation Index Expanded (Web of Science), MEDLINE (PubMed) and other databases, and has an Impact Factor of 3.098 (2017). The detailed conference program of the 2nd Molecules Medicinal Chemistry Symposium (MMCS2019) is now available, please see below. Moreover, you can also download the Molecules 2019 Conference Book (last update 23 April 2019). 18:00 – 18:30 Selected Posters 3-min Flash Presentations: Bosch (Poster No. 43); Gizynska (30); Gladysz (34); Jumde (58); Kaminski (80); Morales (53); Mousavifar (71); Pons (67); Ribić (51); Zhang (65). The workshop is custom-tailored for everyone involved in early stage drug discovery: medicinal chemists, biologists, modelers, crystallographers, etc. ; no prior knowledge is required. Using a novel, easy and very visual software tool (SeeSAR, biosolveit.de/SeeSAR) you will learn the basics of structure-based modeling, scoring, and conformational analysis. SeeSAR will assist you in calculating physico-chemical properties, affinity estimations, and on-the-fly editing for hypothesis testing. Learn how to optimize the tightness of fit and create meaningful graphics. Participants will get a one month free license to intensify the learning experience and to apply tools to their own scientific questions. Do not miss this great opportunity and register for free now! The Modernista Sant Pau Complex was built between 1905 and 1930 and designed by Lluís Domènech i Montaner as a garden city for nursing the sick. After being used as a public hospital for a century, its newly refurbished pavilions shine again in all their splendour. This is Europe's foremost art-nouveau complex and an icon among Barcelona's dazzling array of landmarks which embodies the city's innovative spirit. It was awarded World Heritage status by UNESCO in 1997. The exhibition space in the Sant Salvador Pavilion takes you on a journey through the history of medicine in Barcelona and one of Europe's oldest healthcare institutions. A visit to this magnificent complex allows you to delve into history, art and the present day, making it a unique experience. If you wish to attend you can book and pay during your registration procedure or, if you are already registered, by making a new registration and selecting ONLY the guide tour. - The number of participants is limited: once the number of paid registrations reaches the maximum number of participants, unpaid registrations will be cancelled. - The tour must be paid for in advance before 12 April 2019, there will be no tickets available at the meeting. - All groups require a minimum of attendees to guarantee the service. One month prior to the conference we will inform you in case we can’t guarantee the service, and you will be reimbursed for the amount of the cancelled tour. 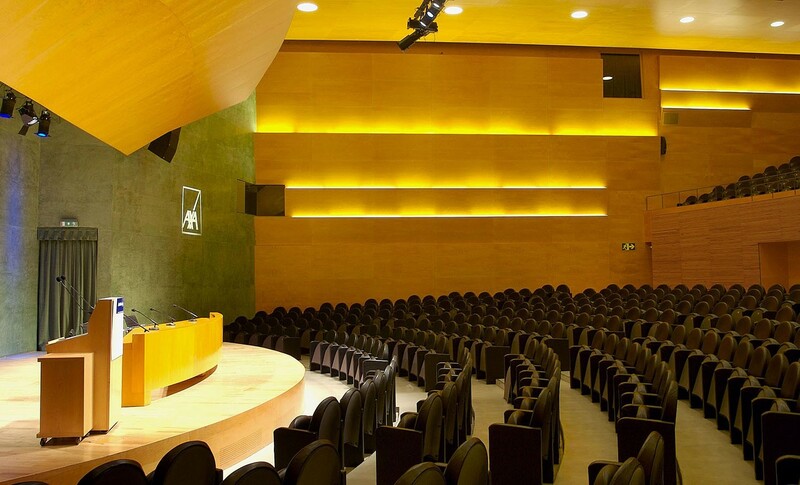 * Transfer from the Venue to the Sant Pau Complex, and from there to the Conference Dinner. Attendees will have one free hour prior to the Dinner to walk around and discover the Eixample area. We invite you to join us at the Conference Dinner at La Camarga, a cutting-edge restaurant specialized in Mediterranean cuisine with deep gastronomic roots that inspires dishes full of contemporary flavours and textures. This will be at an additional cost of 50€ and will need to be added to your booking when you register. Please note that the number of seats is limited: once the number of paid registrations reaches the maximum number of participants, unpaid registrations will be cancelled. La Camarga is located at Carrer d'Aribau, 117, only a few minutes away from Passeig de Gràcia, one of the major avenues in Barcelona and one of its most important shopping and business areas, containing several of the city's most celebrated pieces of architecture (such as La Pedrera or Casa Batlló).For those not attending the Sant Pau group visit, you can easily reach the restaurant either by taxi, bus or Metro. If you were to choose the second option, the closest metro stations are "Hospital Clinic" on Line 5 (blue), "Diagonal" on Line 3 (green). The Sponsor, Molecules, offers two awards to our conference participants, which will be announced during the Award Ceremony on the last day of the conference. Selected by the Scientific Committee after evaluation of all selected talks presented during the conference. Barcelona is the capital and largest city of Catalonia and is Spain's second largest city, with a population of over one and half million people. Located on the northeastern Mediterranean coast of Spain, this city has a rich and diverse history, with its roots dating back to Roman times. The fruitful medieval period established Barcelona's position as the economic and political centre of the Western Mediterranean. The city's Gothic Quarter bears witness to the splendour enjoyed by the city from the 13th to the 15th centuries. The 20th century ushered in widespread urban renewal throughout Barcelona city, culminating in its landmark Eixample district, which showcases some of Barcelona's most distinctive Catalan art-nouveau, or modernista, buildings. The Catalan Antoni Gaudí, one of the most eminent architects, designed buildings such as La Pedrera, the Casa Batlló and the Sagrada Família church, which have become world-famous landmarks. In 1992, Barcelona gained international recognition by hosting the Olympic games which brought about a massive upturn in its tourism industry. For visitors, this has translated into the very modern, yet incredibly old city you see now in the 21st century, where new elements work to both preserve and celebrate both the city’s heritage and origins. 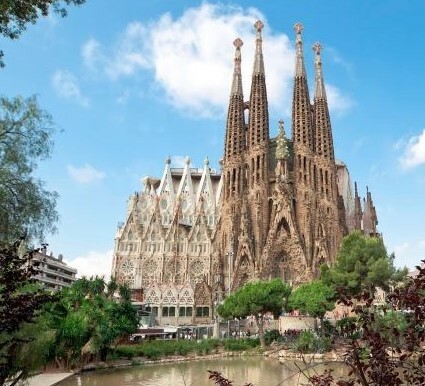 Barcelona is plenty of outdoor markets, restaurants, shops, museums, and churches. The city is also very walkable, with an extensive and reliable Metro system for more far-flung destinations. For a complete overview, see wikitravel.org or visit barcelonaturisme.com. The AXA Convention Centre is located in a vibrant modern zone of the city, next to the main road and with easy access from the airport, as well as the urban and suburban areas. 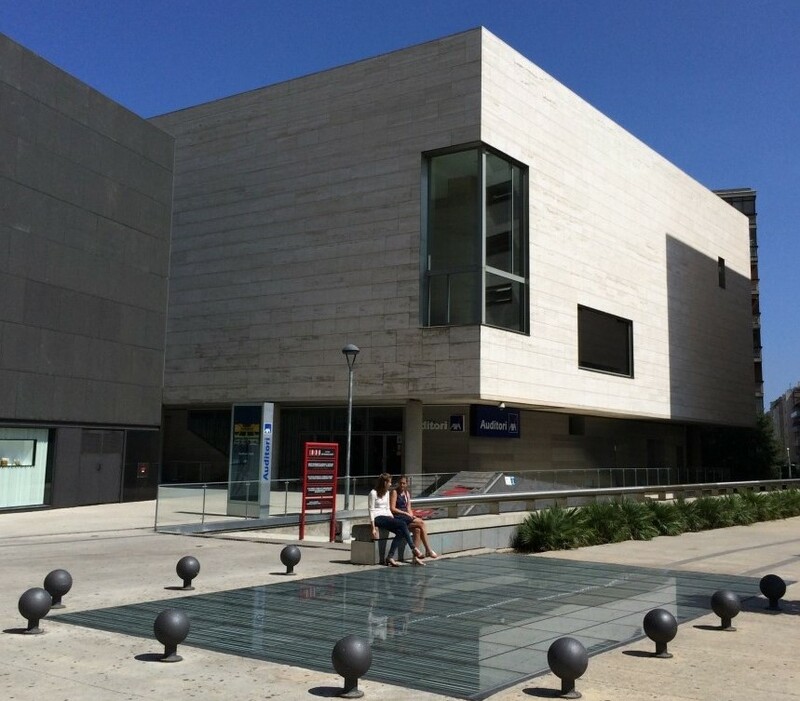 It is part of the "L'Illa Diagonal", a modern complex which include a shopping centre, two 4-stars hotels, several offices, a sports centre, a public park and a parking with 2500 places. The international airport of Barcelona is called Barcelona-El Prat and is located 10 km far from the city centre. 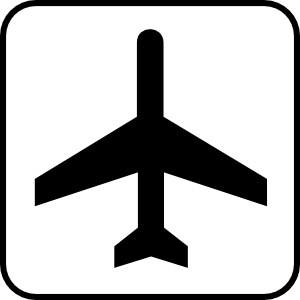 The airport is well connected to airport hubs in Europe and several locations around the world. For more information about the airport and flights, please visit the official website http://www.aena.es. Once you get to the airport, you have several options to reach the city centre and/or the conference venue. - By shuttle bus: AEROBUS (http://www.aerobusbcn.com). This bus connects Barcelona Airport (Terminal 1 and Terminal 2) with the city center (Pl. Catalunya) in 35 minutes. It runs every day of the year with departures every 5 minutes and cost 5,90 €. - By train: TRAIN R2 NORD (http://rodalies.gencat.cat). This train connects the Terminal 2 of the airport with the city center (Barcelona-Passeig de Gràcia). It runs every day of the year with departures every 30 minutes and cost 2,20 €. - By taxi: taxis just outside the arrival area. The taxi from the airport to the city center (Plaza Catalunya) costs approximately 26 € during working days and 30 € during holidays, weekends and nights. Public taxis can apply four types of fares in Barcelona. These fares must be visible inside the taxi, and are usually printed on a sticker over the window. Finally, the amount payable must be indicated on the taximeter. - By metro: LINE L9 (https://www.tmb.cat). This metro line connects Barcelona Airport (Terminal 1 and Terminal 2) with the north-west of the city (Zona Universitària). From here you can take TRAM T1, T2, T3 (get off at L'Illa stop) or bus 7, 67 (get off at Diagonal - Entença stop) (https://www.tmb.cat). The metro from the airport costs 4,50 € and the tram or bus 2,20 €. You can buy the bus/tram ticket at the tram stop or on the bus. - By taxi: taxis just outside the arrival area. The taxi from the airport to the conference venue costs approximately 23 € during working days and 26€ during holidays, weekends and nights. Barcelona Sants station is Barcelona's largest train station and provides rail services both in and around Barcelona and for the whole of Spain and beyond. 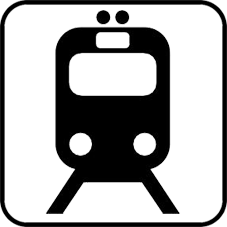 For more information about the station and train service, please visit the official website http://www.renfe.com. - By taxi: taxis just outside the station. The taxi from the station to the conference venue costs about 8 €. Oriente Atiram and Meson Castilla Atiram: Located in Las Ramblas, have a fantastic central location, next to Plaza Catalunya and the famous Boqueria market, 30 minutes away (by metro) from the conference venue. Arenas Atiram: The Arenas Atiram Hotel offers a highly personalized service together with very friendly, elegant facilities, only 1 km away from the conference venue. Tres Torres Atiram: Located in the center of one of the best residential neighborhoods of Barcelona, next to the distinguished commercial and leisure districts Diagonal Avenue, 2 km away from the conference venue. Please add the discount code ‘MMCS2019’ while making your reservation in any of the Atiram hotels. Hostal Aslyp 114: The Hostal Aslyp114 is a cosy hotel with private rooms, located just 10 minutes away from the conference venue. 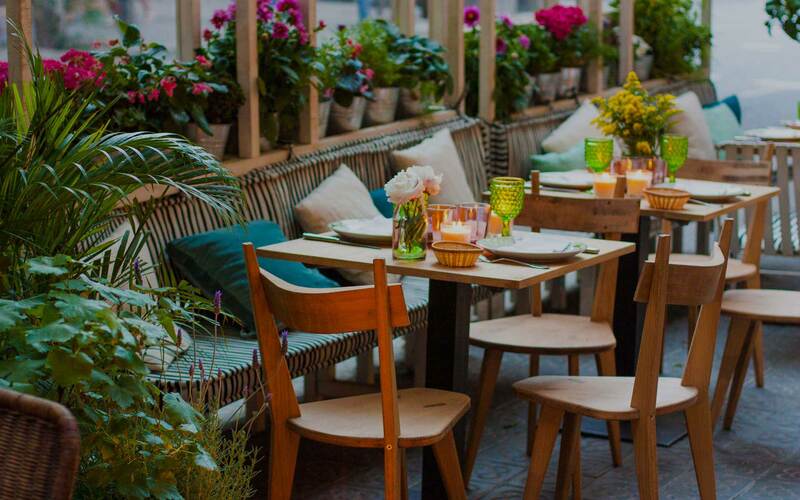 Please add the discount code ‘BCN114’ while making your reservation. To ensure availability, we encourage you to book your accommodation as soon as possible. Note that Sciforum is the only official registration platform to register to MMCS2019, and that we are not associated with any hotel agency (other than the listed above). While other hotel resellers and travel agencies may contact you with offers for your trip, they are not endorsed by or affiliated with MMCS2019 or Sciforum. Beware that entering into financial agreements with non-endorsed companies can have costly consequences. Citizens of EU and EFTA countries must present valid personal identification, an ID card or a passport. No visa is required. Regardless of their citizenship, family members of EU and EFTA citizens must present a valid passport and they must have a specific residence permit from a Schengen country (no visa required). Otherwise, a visa must be obtained. For more information, see http://www.exteriores.gob.es/Portal/en/ServiciosAlCiudadano/InformacionParaExtranjeros/Paginas/Inicio.aspx. EU Countries: Austria, Belgium, Bulgaria, Croatia, Cyprus, Czech Republic, Denmark, Estonia, Finland, France, Germany, Greece, Hungary, Ireland, Italy, Latvia, Lithuania, Luxembourg, Malta, Netherlands, Poland, Portugal, Romania, Slovakia, Slovenia, Spain, Sweden, United Kingdom. EFTA Countries: Iceland, Liechtenstein, Norway, Switzerland. Schengen Countries: Austria, Belgium, Czech Republic, Denmark, Estonia, Finland, France, Germany, Greece, Hungary, Iceland, Italy, Latvia, Liechtenstein, Lithuania, Luxembourg, Malta, Netherlands, Norway, Poland, Portugal, Slovakia, Slovenia, Spain, Sweden, Switzerland. No visa is required for stays of up to 90 days. However, a passport valid for at least 3 months beyond your date of departure is required (6 months recommended). Spanish government regulations may require a return or on-going ticket or proof of funds. A valid passport is required and in some cases a visa must be obtained prior to entering Spain. For more information, check this link. Or find your nearest Spanish embassy or consulate here. Subscription to an insurance plan to protect you from the high costs of illness or accident during your stay in Spain is a prerequisite for obtaining your visa. You should obtain adequate travel, health and accident insurance before you depart from your country. The organizers are not responsible for personal injuries, or loss of, or damage to, private property belonging to the congress participants.